Patients who received a combination of ticagrelor plus aspirin within 24 hours of undergoing coronary artery bypass grafting (CABG) had significantly improved saphenous vein graft patency rates 1 year post-procedure compared with those who only received aspirin, according to findings of the DACAB* trial. “In this trial, ticagrelor plus aspirin was superior to aspirin alone in maintaining saphenous vein graft patency for up to 1 year after elective CABG surgery in a general population that included a subgroup of patients with [acute coronary syndrome] and stable ischaemic heart disease,” said the researchers. “Further study is needed to determine whether this significant benefit in graft patency translates into a meaningful improvement in clinical outcomes,” they said. Five hundred patients (with 1,460 saphenous vein grafts; mean age 63.6 years, 18.2 percent female) from six hospitals in China received open-label ticagrelor (90 mg BID) plus aspirin (100 mg QD; n=168) or ticagrelor alone (90 mg BID; n=166) or aspirin alone (100 mg QD; n=166) for 1 year, with therapy initiated within 24 hours of undergoing elective CABG. Saphenous vein graft patency was assessed by means of computed tomographic angiography or coronary angiography. One year post-CABG, saphenous vein graft patency rates were 88.7, 82.8, and 76.5 percent with ticagrelor plus aspirin, ticagrelor alone, and aspirin alone, respectively. Conversely, there was little difference observed in saphenous vein graft patency rates between patients who received ticagrelor alone and aspirin alone (difference, 6.3 percent, 95 percent CI, -1.1 to 13.7 percent; p=0.10). A post hoc analyses showed that saphenous vein graft nonocclusion rates at 1 year were 89.9, 86.1, and 80.6 percent in patients who received ticagrelor plus aspirin, ticagrelor alone, and aspirin alone, respectively, with a significantly improved rate among patients on ticagrelor plus aspirin vs aspirin alone (difference, 9.3 percent; p=0.006) but not for those on ticagrelor alone vs aspirin alone (difference, 5.4 percent; p=0.13). The incidence of major adverse cardiac events was low overall (16 events). Five patients experienced major bleeding during the 1-year follow-up period, three in the ticagrelor plus aspirin and two in the ticagrelor alone groups, with one in each group experiencing CABG-related bleeding. 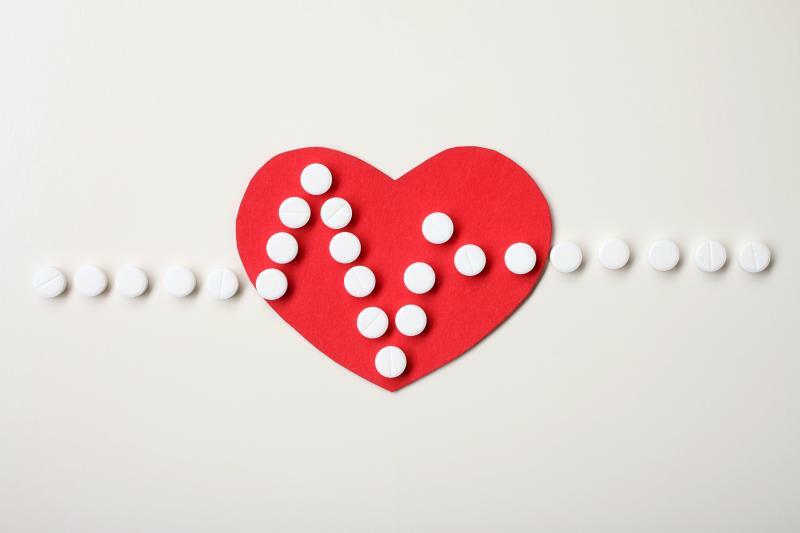 Serious adverse events were experienced by three patients each in the ticagrelor plus aspirin and ticagrelor alone groups, and nine patients in the aspirin alone group. The researchers acknowledged that the study may have been underpowered to detect if ticagrelor alone rendered a benefit. Additionally, as the study assessed the impact of dual antiplatelet therapy on saphenous vein graft patency, the results do not apply to arterial grafts, they said. According to Professor John Alexander from the Duke Clinical Research Institute in Durham, North Carolina, US, these findings, while important, are not necessarily practice-changing. “[I]t is premature to endorse the routine addition of ticagrelor to aspirin after CABG surgery,” he said, highlighting the importance of future research in the form of randomized trials in assessing the impact of ticagrelor on clinical outcomes.